Very easy to allocate projects / clients to tasks. Many other software didn't have a clear time allocation or overview week by week of the schedule. Float is very transparent, quick and easy to use and view the work an individual or team has booked. The reporting feature is also very handy to see where time has been spent by whom and if we are going over time! The only feature I would recommend that isn't currently available is to duplicate time blocks easily, you can drag similar length projects across days, but sometimes I may want to work 3h on one day and 2h on another currently I'd have to enter the task twice, may be easier if I could just copy and duplicate then edit the time needed only. Float is a case of use and implement it into your schedule or don't use it all, we initially had paper briefs and a scheduling white board, we did away with all of that and haven't looked back. It's most effective when used to the full across every team member. It has brought increased efficiencies across our design team, making it much easier to get projects briefed in, time allocated and client managed properly. Hey Dan, thanks for the feedback! You can duplicate a task by holding SHIFT as you drag the task. Then you can drag the height of the task to reduce it down to 2h. I hope that helps! "Inspired scheduling tool with beautiful UX"
Float is a really nice piece of software to use. Great attention has been paid to the UX, making efficient use of screen real estate, infinite scrolling in all directions, nice layout and an amazing search and filter toolbar. It's very easy to learn to use and although the design is simple, there is some clever logic going on that optimises your workflow. My only real complaint is that (at least in the version we're using) it's not possible to lock down values in lookups. This results in inconsistent use of fields, making it difficult to analyse the data across projects and teams. For example you cannot set up a global task list, so each time you create a project you have to define the task types again and try to keep them consistent with your other projects. We have around 100 people working on around 20 projects at any time. Many of these people work across multiple projects simultaneously. It's difficult to plan your capacity and delivery timescales in such an environment, but Float makes this about as easy to do and as transparent as it could be. Bravo! "Streamlined product that sticks to its core competency really well"
I use Float for resouring with creative team members and developers, and it gets the job done well and in a visually appealing manner. They add necessary and not overwhelming updates to the product to enhance the user experience. I'd like the ability to audit jobs a bit easier, but that may be a product of our large company use rather than Float. Very minimal if any things I dislike about this product. Float is a resourcing product. Do not try to manipulate this product into a project management, billing or other tool. I value Float for sticking to its core competency, resourcing, and using it in this manner will be the most valuable use you receive from this product. Team members understanding what is on their workload for the day, and the amount of time they have been given to spend on those activities. It keeps a wide team aligned and therefore hitting deadlines and scoped hours. "Multi disciplinary studio management top line "
For very easy to use workflow management that everyone can get on board with and understand (especially coming from paper based or Excel system before) this is a great first step into digital project management for design. You can straight away see resource, book out weeks in advance and set deadlines. Plus the designers can mark on their jobs whether it was completed so PM's know straight away. Currently managing a team of 9 designers in a multi disciplinary team with 30+ different jobs daily. Tool has worked perfectly well for top line management of workflow and constant changing priorities. Visually easy to understand. Since the recent update the software has performed so much better then expected and has made a massive difference to usability. Reporting monthly on resource was never in place before this tool so this allows us to be transparent. "Lifesaver! Great tool for scheduling across multiple teams and offices"
I've been using float for almost a year now. It has made SUCH a difference in allowing our teams to be able to track where and when individuals are working from home/out of office/on holiday on a simple and unified platform. The tool is also incredibly user-friendly and makes it easy for anyone to be able to use it on a day to day basis. I also love how quickly you can add and edit to your projects in your calendar. I'd absolutely recommend people to try the product for themselves! You don't realize what you're missing until you've tried it for yourself. This is a huge time saver for me - allows me to easily access calendars of large groups of people without having to view each person's calendar individually. Float also helps keep everyone across both of our offices more organized. "A top resource planning and scheduling tool"
The ease of use of Float it top class. From the creating of projects to assign resources to, creating of tasks in the projects and managing the milestones is super easy. The calendar grid format makes it really easy to see what resources are assigned to and makes it really simple to manage your resource scheduling. Access management is good too. The reporting is decent. The UI is a delight to work with. These days it is all about the user experience. We make use of the Float API suite too to automate the synchronisation (create, deletes and updates) of our team's approved leave request between our leave management system and Float. This saved us loads of manual work to ensure that information is the same across systems. There is not a lot you cannot do with Float. The only small gap I have found is a specific operational reporting requirement I had that the reporting suite didn’t cater for. I required a daily view for resources that did not exist. While there is a weekly view, it does not seem to offer a day-by-day report that can be imported into Excel (through CSV or other means). Float is a well rounded product that caters for most of our planning and resourcing needs. The Float UI is so easy to use. Doing resource allocation is quick and easy using Float. The API has helped us a lot and saved loads of manual work for syncing approved leave requests between our leave request system and Float. The reporting is good and covers most needs. "Great tool for scheduling across a busy creative team"
The quick and intuitive means by which projects and jobs can be added, updated and moved around in schedules. It's a really handy way to both view and quickly update the full picture of workloads, schedules, availability and project progress. While excellent for immediate-term planning, I would like to see a little more in the way of options for longer-term, or non-date-specific, planning - perhaps the ability to add a "pending" column that sits persistently alongside the day and date columns, to act as a reminder of jobs that will come onto schedule soon but aren't ready to be assigned to a particular day/week! It would also be useful to be able to less evenly proportion time across days - e.g. spread a job over two days but assign more hours to one than the other, rather than the equal split as present. These are feature requests rather than issues, though - on the whole the experience is excellent and does exactly as you'd hope/expect. We have been trialling Float in order to replace a pen-and-whiteboard system in our office - it replicates the experience of that board almost exactly, with the added bonus that our team and other teams within the agency can view the schedule from anywhere, rather than needing to be at the office location. So far, with the exception of the minor suggested tweaks above, it has done everything we've needed it to. "Keep our studio organised, accountable and active!" It's great for managing time and using it for production or if you have multiple jobs coming in. Always do the tutorials so you can keep your clients and jobs organized and optimise all the features. Definitely create teams and use the roles resource as much as you can. This helps with organising teams and allocating jobs to the best people. Especially if you have a large studio that you are trying to manage. We cast our float schedule to screens in our studio so that the whole team can see what everyone is working on. Very useful. "Float Review for Audio / Visual Studio"
The feature that we as an audio / visual studio have found the most beneficial is the scheduling feature. This allows us as a team to assign and schedule tasks and projects, and allows each individual to keep track of what the need to complete by when and what is upcoming in the days and weeks ahead. By doing this everyone on the team can log into Float and see what it is each team member is busy on and when it needs to be completed by. As a user i have found that the admin person can schedule tasks and projects for individual team members, but if these need to be changed suddenly then they can only be changed by the admin person and not the individual. I have had one or two occasions when I needed to update and reshuffle my schedule on Float but wasn't able to do so as the admin person was off or not in the office. This caused some scheduling delays for myself. Float is a valuable tool for us a busy, up-and-coming audio and visual design studio. If you need a central, easily accessible platform to keep track of tasks, projects and individual's work loads on a daily, weekly and monthly basis then I recommend Float as a highly useful tool and one that we are relying on more and more, as the studio gets busier and busier. With Float we have used it extensively the last few months to help our Studio stay on top of the multiple projects we have on the go at one time. With multiple team members working on different projects it has allowed us as a studio to keep on the ball and make sure we meet deadlines, and has allowed us to see what we can take on and when. As the studio is getting busier and busier Float is becoming a vital, central platform that the team rely on daily to produce quality work on time. "Perfect to manage maintenance teams!" We analyzed several reviews before getting a Float license for our maintenance team. What impressed us is the ease of use and immediate approach of the user interface. Even non tech skilled people can easily plan and update activities, without spending too much time on the software itself. So far, almost 1 year after adopting Float, we can't identify any particular downside. After a long session of review screening and trials, we decided to stay Float. This software represent the easiest and time saving platform to allocate your personnel on several tasks, regardless the complexity you need to manage in your company or industry. Highly recommended! With Float we are able to coordinate a whole maintenance workforce and schedule all the activities for a manufacturing plant (pharma industry), very efficiently. The software has been thought to be time saving, and allows to focus on what really matters. Learning curve rise pretty immediately, and the final user feels a real benefit. "CH - Float Review - 16JAN2019"
Ease of accessibility and ease of use. Mobile application is quite useful, especially being on the go a lot of the time. ROI and forecasting is an excellent and helpful tool incorporated into the application. All features are beneficial in ways that show positive outcomes for the company. Pop-up windows when clicking on a scheduled task have a tendency to cut off wording, making it harder to see the entire scope of the task. The ability to have a larger pop-up screen or scrolling ability would make this issue less bothersome. The software will benefit productivity and organization in a huge way. Shows signs of return on investment quickly. Assuring productivity and organized scheduling. Also helps tremendously with forecasting and use analysis. Analyzing and running reports of employee allocation has aided in a huge way for adequately on boarding new employees and expanding the company in a way as to maintain productive and profitable. "If you can get your staff to go all-in, it's useful"
Make sure you're ready for your entire staff to go all-in and use it regularly, else it'll be a point of contention for who is booked on what job. Float is very difficult to work with if all your staff don't get on board - we often run into trouble where someone has booked a staff member out casually and not used Float because it was a 'quick job', and then the producer is surprised when that staff member isn't working solely on the tasks allocated by Float. An integrated desktop environment or secondary task list would help manage these 'little' things which crop up. "Overall a Good, Helpful Product"
Float is quick and easy to use. It takes no time at all to create a new project, add resources and allocate the resources time on the project. It's also easy for our team members to login and see their allocation for the coming weeks. I haven't found a way to zoom in. The blocks are sometimes difficult to see. I've tried only selecting one person but that doesn't change the size or give me the ability to adjust the zoom. We use Float for a resource allocation overview. We don't get into the day to day details. We use it to show a projects length, who is assigned to the project and how many hours a day they should be spending on this project to forecast whether they should be assigned to any new projects coming in. "Float, an essential tool that powers our team scheduling"
We use Float to schedule tasks across our team, ranging from tasks that take a few hours to complete, to projects that take multiple days or weeks. It gives us the ability to see who is available for scheduling, and allocate (or reschedule) work coming in. We have duplication between Float and our team's Google calendars, but at different levels of granularity, so we can't automate synchronisation. We haven't been able to resolve that, so team members still need to book the work in their calendars as well. Float has become essential to our scheduling and traffic, and is the go to place to check our capacity for planning new projects. For our scheduling, it is in constant use to keep track of and allocate work across a diverse team. Ease of use — the colour coding of projects, easy scaleable time blocks, that everyone has real time view of planning, addition of holidays and leave. Most of the niggles we had with this product have been solved in the latest update. I haven't check on this one yet, but having to use hex codes for colour selection — it's account managers using the software not designers and it's a hassle. We've been using Float for at least 3 years I think and it's an invaluable everyday tool for resources and work flow planning. The whole team checks it daily and it's made work life so much easier to keep projects on track and ensuring we have the right people at the right time. Very easy and simply designed interface and software, I like the way it can keep a mass of information but all of which is easily found if needed. Specific people places and times just moments away. A super useful resourcing tool for us here. To be quite honest I've only been using the software for about 3 months and so far I haven't found anything that has caused me any annoyance or dislike. As I'm used as a resource which is booked on various different jobs each week it allows those booking my time in to do it with ease and for me to organise my weeks before they start by quickly going through whats been booked in when looking specifically at my time. Simply and easy to navigate interface, it's not overly complicated or busy. Streamlines our workflow and allows for a quick overview of what's happening in the coming weeks. When dragging and moving jobs around they always revert back to one day, which can be frustrating. It would be great if it was easier to update client details and leave notes on client files. It would be great if Float had a feature similar to smart sheets where you could detail our each stage of a job, and then transfer it directly to the standard float layout. Structuring our weeks and identifying gaps and overrun in our scheduling has been a huge help. Overall, Float has helped us to be more efficient as an agency. "Float is a great tool for seeing and managing project schedules. " Being able to visually see what the whole team is up to in one place. The simplicity of moving around/adjusting schedules on the fly. When tasks need to be reassigned (to other team members) there doesn't seem to be a way to do this in bulk. I have to manually move each piece of the project to the assigned person. I'm pretty new to Float, so I may have not learned how to do this, but at a minimum, it's not obvious or easy to figure out. We have approximately 34 team members and constantly fluctuating project schedules. Float is super helpful for having one place to see what everyone is up to and being able to efficiently schedule project resources. "Float makes my job infinitely easier"
I love that I can get a high level overview of where my team is at in one glance, and that my team can get weekly reminders of what their schedule is. The reporting, metrics, and utilization are also super handy. The native color choices are kinda sad. I usually just end up throwing in a random hex code so all of our clients don't look the same. We solve our scheduling problem with Float. We operate on a more individual consulting day basis, rather than a block of time with a client. Float provides the best visual for helping me see what's still available. We are also able to keep track of our utilization and other metrics much easier! "Veratile and easy to use project/people management tool"
Float is intuitive to use. I really like the layout, clear and with lots of colour options for different staff and projects. Staff (and admin access levels) can be added, revised and removed easily. Unfortunately, you don't seem to be able to move a batch of tasks similaneously. so if project is delayed, every task for every project member has to be moved individually (which can run into 100's). Use the free trial period, test you requirements, sometimes you aren't sure what you need until you can do it. "Fast and easy time planning for teams"
It's quick and easy to plan out each member of the team's schedules and keep track of how things are progressing. Also, should business or client needs change, it's super simple to move things around. Sadly, there doesn't appear to be any way to have dependent tasks like you would in more of a traditional float chart style setup which would be handy for some projects where tasks must be completed in a series so you don't have to move multiple tasks around one by one. Scheduling has been made quicker and easier so there's been a great timesaving, also the team all have full visibility of what everyone across the agency are doing and what's upcoming. The interface is very simple, pretty, and user-friendly! It's nice to see what projects I have coming up ahead of time - that way I can prepare for them accordingly. I also get an idea of which projects to prioritize based on where they are on a calendar day. I don't make much use of the other tabs besides the Schedule tab. I'm often prompted to update it in the middle of the day, without knowing exactly what updates are taking place. I think it really helps employees to know what projects are coming up. We also have more than one producer, so it helps the producers schedule and prioritize time as needed on designers/dev/motion artists, etc. "I start a new day with looking at Float." It is easy to use and very intuitive. Just one look at Float and I know what work I have to do during the day. Sometimes zoom in / zoom out feature is not working properly, but that might be my device problem. In my opinion Float is easiest to use scheduling app. I am working as a frontend developer and I start a new day with look at Float so I know what to do. Tasks are added by PM's in my company and I know they like Float too. After all they decided to choose it as our work management app. Without Float it would be much more difficult to manage my day schedule. "Float has been really helpful in planning our traffic"
float helps you visualize the the capacity traffic and schedules so that you can make some sense out of it. not much to dislike, works like a charm. it would be better if it could also provide a way for the team members to update the deviations in allocation. This would help the project co-ordinator to gauge delays early on. takes hassle out of resource allocation. we use float to render our resourcing schedules. This helps us broadcast resource availability and manage traffic for multiple projects. with the ease of use that float brings, it gets really easy to fig out information from the data. Overall Float has been great for us and I would recommend it to any organization providing services and focused around resourcing their team. Float has been constantly evolving and you can notice the difference and improvements rolled out weekly if not daily. Thank you for your work Float team! There are some "glitches". One glitch is related to making the autocomplete more obvious, because when you delete the whole text in the field it stays there. Another glitch is that sometimes the sync breaks on other clients and they have to refresh to pull-in changes. Their Slack integration is really basic at the moment, as it streams notifications over Slack. It would be way cooler and useful if it could send the weekly schedule to each member. Sharing the schedule with users is really nice and useful, but think carefully about the users you want to schedule, because it's not good if they'll find their row empty. "Contextual decisions being able to see your workload on the context of your team’s workload"
The dual view mode and the Skill tags function are winners. You can view the team’s overall project workload and timeframes and you can see everyone’s availability at a glance, while individually you can view your own workload and make contextual decisions. The Skill tags function is neat in choosing which team member is the best fit for the task. The hovering function is very neat too — not having too open work tasks for notes for example. Should the admin person not be available, try to anticipate it so that changes can be made to the scheduled tasks. I find Float to be a flexible scheduling tool that allows you to slice, dice and manage tasks, assignments and timeframes. It gives the team transparency as you can view the team's workload at a glance and assign or shift tasks between team members as the project rolls out. If someone gets swamped out, you can act and tailor as you go. Project management made easy. No sweat. "Great and easy to use scheduling and project time tracking tool"
I tested like 15+ tools, and FLOAT was the only one allowing me to set specific hours for the tasks! All other tools only allow to instruct the team member to work 3 hours on certain date on Project X without instructing the user when exactly to do it. This might not seem a lot, but allows to combine time scheduling with calendar. With the tool I can report to management and clients who, for how many hours, what tasks have completed under certain projects. There is no gantt chart view of the projects (not big deal for me, but some colleagues miss it). Try it. It is easy to use. Our benefits include visibility and ease of reporting, especially for customers, who pay on hour basis. "Float is great, really easy to use"
continuously tweaking features for the better to further improve upon the UI/UX. 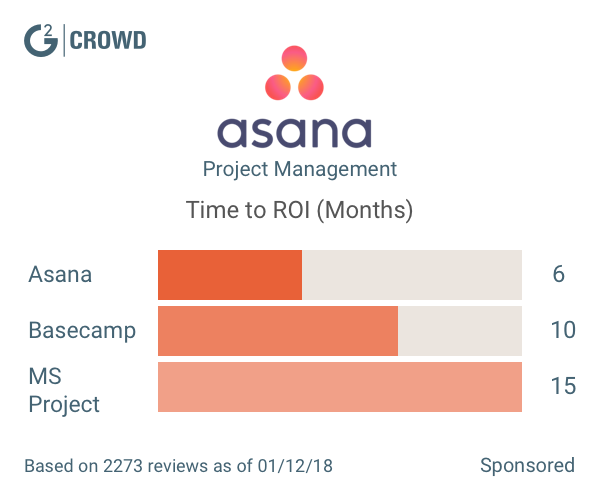 My project management team did a lot of research on resource management tools and Float was the only one that allowed for such a granular view (i.e., instead of planning sprints in 2 weeks, it's day by day). We needed that for our business as we are run day-to-day with sometimes very small tasks (0.5-1hr) and Float was the only one allowing us to get that granular. Further, whenever we've had an issue the Support team is very quick and responsive to helping us! Daily Resource allocation and management for the Project Managers to schedule client work and maintain progress throughout projects. "Not built for lots of projects happening at once "
1. The intention of the tool is very helpful and it is probably amazing for smaller groups with limited projects. 2. Color coding of projects/teams/clients is helpful. 1. The interface is not obvious; features are hard to find. 2. You have to navigate between different tabs to enter information for a single project. You should be able to add projects & people from a single view. And deleting something from one tab does not carry over to another (e.g., deleting someone from a project in the Schedule does not delete them from the project team). 3. You cannot see the roll up of how over allocated someone is without trying to figure out the reports for a single person. This is incredibly frustrating for our large team with a lot of projects going on at once. The red area is not a good indication when you can hardly see it behind the projects. The row views are also quite small, which hinders this being noticeable. Then you have to do the math to see the number of hours over. Other tools we have used will give percentages for allocations and overages. 4. A single project does not take a horizontal view to scan across weeks/months, as you add new projects each week the view changes and makes it very difficult to scan. 5. You cannot specify what time off is for - would be helpful to be able to track out of the office time based on conference or vacation or maternity leave or another reason. Trying to manage a team of designers across multiple offices, clients and project work, but I cannot say we are completely solving that problem with Float without frustration. Thanks for the feedback! Hit us up at support@float.com and we'd be happy to point you to the right resources or register you for a free webinar to get the most out of Float. You can add people and projects from the top right '+' button so you never need to leave the schedule view if you prefer. Your Admins can also add different Time Off Types from the Account Settings if you'd like more to choose from (e.g. Maternity), otherwise do feel free to add those details in the Time Off Comments field when adding these. "Software Solved - Great Experience"
The best features of float are it's ease of use, it's sleek UI design which makes it easy to read and the ability to share easily among colleagues. The permissions management is also a strong area. The two features that could be improved upon are. The system needs an advanced tutorial to train users on the hidden hotkeys and tricks - I had to go externally to a blog post to find these. The system also needs the ability to select a total time and an end date and then automatically work out the daily allocation. Pricing is very good for the product. I'd consider what your company needs before implementing. If you need an in-depth highly customisable piece of software float isn't that - it's an easy to use shareable platform. Float stops a lot of 'Bashing heads' among the project management team. It has also helped to keep developers keep track of what they need to be doing. "Fast, east to use scheduling solution"
Float keeps things simple, simplicity of use and simple clear presentation of data. Easy access via browsers and the fully featured app mean team members have no barriers to accessing the schedule and the overall simplicity and clarity mean they actually like to use it. Could perhaps do with a couple of additional features, but not so many that its simplicity suffers. If you want a quick and easy to use "light" scheduling solution then Float is ideal. The smooth UX will ensure that your team actually do use it. A clear and easy to use schedule for the entire team to view and use, everyone knows what's going on and what everyone else is doing. "Helpful for Visualization and Planning"
I like being able to see the full overview of everyone's activities, tasks, and projects in the office at once but then search through and see only the projects I want to see or am currently working on to clear out the schedule so I can focus. I love also having specific tasks within projects, as many have long lead times and deadlines split among many different individuals. This is may be more of a problem on our end - but we have so many projects concurrently running that we ran out of colors that really contrast to visualize who is working on what at a glance. Our office also doesn't quite function by hours per day or billable hours, so it can feel strange to arrange the days like that - however, it's helpful to arrange things by hour to sort out your day and workflow. I would also like if it integrated into our dropbox or google docs accounts - if we could pin or upload files to specific tasks. That would be a great feature to have in the future. Because we have so many projects and such a small staff, it's helpful to be able to look at Float and see exactly who is working on what. Also there are very long leads on projects vs. shorter term timelines on projects that are currently happening, so it's helpful to be able to integrate both in one view. "Float, one of the best tools we currently use." I fully encourage anyone even thinking of possibly trying out a program for scheduling to do your self a favor and try out Float. I'd be shocked if your not impressed by it. We used to use a HUGE white board and dry erase markers for our schedule. We thought that this was the best way for us to tackle our job scheduling and Float was met with a bit of resistance once the boss said we were going to try it. WOW, were we wrong. I would never look back now that we are using Float. One of the best tools we ever used. We are scheduling anywhere from 18 to 26 techs on this program and I fully encourage anyone even thinking of possibly trying out a program for scheduling to do your self a favor and try out Float. I'd be shocked if your not impressed by it. "Finally -- time management that works for project managers and visual designers"
"A great purpose-built tool which helps solve a huge problem in agencies." I really appreciate the simplicity of this tool. It doesn't take much to set up and only asks you for as much information as it needs in order to be useful. Because it is assumed that the tool will be updated frequently, there isn't a lot of extra data points that are required to set up a person's schedule. In some ways the tool can feel a bit stiff or limited. Because it's built to really do one thing well-- scheduling, new users might look for other features like time tracking or dependencies which are found in similar project planning tools. Do the free trial and make sure you have full details around the exact problem you are trying to solve with this product and not try to solve too many with one solution, as this product does one thing really well. Trying to plan out multiple projects with a small team and determining when work can start and get done. We are able to see who is available to work on things. I don't like that you cannot see 3months in advance on 1 screen. It's still laggy when scrolling, we have 70 people timesheeted and we have project managers filling this in, they find it cumbersome. The repeating tasks are not well formed, as in if you set a repeating weekly task then want to edit one week to be say 3 days, it won't let you do it. We have other awkward things around adding contractors or people leaving jobs, it would be nice if Float had more sample data as I think sometimes we uncover usecases they haven't tested for - atleast tested the UX for. I'd love it to improve, as the last speed improvement they did was a step in the right direction, but more customisation is needed. It's improving all the time! Benefit of seeing when people are available to work on other projects. "Great new features and improvements"
I really like the new features, being able to mark a task as tentative or complete. The scrolling has drastically improved, and the speed of editing, adding, deleting a task is much much faster, instantaneous! I like the ability to verify one staff schedule, or one project or even a department. I just wish if the other features had good tips or videos on how to use them. The reporting tools are not great, we are having issues exporting a report to excel. This is an area that needs improvement. Another improvement would be when we filter for a project, to be easily able to see the date. Currently we have to scroll right or left to get to the date it is scheduled for a user. If there is a report that lists the users and the dates they are scheduled, that would be great. we needed to schedule various projects across various departments, some are small projects that span few hours and some span a few weeks. Some are for a few staff and some involve various staff at various departments. With float we can easily do this, using even 0.25 fraction of an hour to schedule. It also handles weekends and holidays great. We are able to add vacations easily now. We like the color coding to distinguish the tasks or projects or holidays. this has helped us have a better view of all projects. "Simple, easy traffic scheduling tool"
I loved the simplicity of adding projects, adding new resources and being able to see at a glance what everyone was working on - by looking at one schedule. I loved that it was cloud-based and could accessed from home or on any device. The help desk and support functionalities were great. Our projects are short and some teams action a number of small projects ion a week and the schedule became messy to review, especially if multiple tasks in one day. Also, we needed a tool for staff to track time spent on a task and unfortunately the system didn't cater for this functionality. The Admin can become hectic if you don't keep a close eye on projects added and archived. One view of all projects being worked on by the 'build' teams. Easy reports available to analyse capacity. In meetings we could access the info easily (cloud-based system) and the drill down to staff member level was great if reviewing each project individually. We moved from a server-based system which needed to load on a PC connected to our office network. Having our schedule in the cloud was an instant success and being able to view on the go and on devices is a huge benefit for us. There are a few bugs early on but the customer support team were very quick to address. a better iOS app would be good. Simple but effective! The free trial is definitely worth a shot and the customer service has been very impressive. quick responses and positive answers. very helpful. Being able to edit our schedule quickly and when things change is a huge step forward. It allows me to schedule my time among various, billable projects as well as for time off. Others like being able to use that to project cash flow. The UI is really difficult to use. While it does seem to be improving, it requires fore knowledge of unintuitive UI elements that don't outwardly suggest being interactive and also fine-grained mouse clicking on distinct elements that are very close together. Ask them to write a new UI. The functionality is fine as far as I can tell, but their UI really needs some more attention to detail and user experience. For me as an employee, it solves the problem of booking time off. For others, it helps them estimate future cashflow. Hi Kyle, sorry to hear you're not digging our interface! We pride ourselves on how intuitive our scheduling is. Please hit us up at support@float.com and pass on specific feedback on what you'd like to see improved. I like how I can go from day to day, week to week Month to Month etc very easily. I like that I can make the calendar. I like that it keeps the name of the Tasks in the history, very useful when assigning multiple people to the same task. and the fact its a shared calendar that updates in real time for the most part. I don't like the how an assignment can easily be deleted (when I didn't mean to) I wish there was was something that popped up that asked "was I sure"
"Simple, Reliable, and cost effective!" Simple and easy to use! All Cloud based! The overall program blows it's competition away. The quick & easy changes through the UI are simple and dont require a trip down the hall to IT! Not much! Everything in the system is great. One improvement would be some more specific control as an admin primarily when it comes to what schedulers are allowed to use color code wise to keep the system UI clean. Do it. Don't hesitate. Pulling the trigger 3 months earlier would have avoided a big mashup of overbooked labor! Scheduling Fulltime & Freelance creative resources to elminate double booking and under utilized staff. "Flexible scheduling for collaborative schedulgin"
Being able to collaborate on the schedule. We set milestones and deliverables, HR look after employee leave, and float just gives us all that information on one screen. Makes it super easy to forsee bottlenecks, and deal with them in advance. Ordering small slivers of work if you're doing less than a quarter of a day at a time can be fiddly, but since our scheduling is more often than not only half a day or full day at a time, this isn't something we typically have an issue with. Transparency. Account managers are able to see precisely how busy the studio is, what our deadlines are, and can give more accurate 'guesstimates' when in front of clients. This has led to actually winning more work, because we aren't simply guessing, we are able to deliver on time. "Simple too to manage teams of developers and more"
Float gives me an instant view of what my team is working on day to day and in future. The filters allow me to show just the information I need. Tags allow project managers to book the correct resources for specific tasks. The interface was very slow to scroll, however a recent update improved this. A feature I would personally like to see is history, as currently there is no way to see if a booking has been pulled or moved. Allowing project managers to book developers themselves based on tags for disciplines. It saves me having to do all resourcing myself. It is very easy to see what I have been scheduled [by the traffic and/or operations manager] to work on over a period of time. The fact that we cannot log time spent against the tasks [generate time sheets]; we have to use other apps to log time. Seeing what our peers are working on helps with transparency. One's leader wouldn't need to hover over them to know what they are working on, making for a calmer work environment, resulting in higher productivity levels. Easy to use intuitive application. Everybody uses it at our company to check what is planned for him/her for the next few days/weeks. Projects / clients can be added and differentiate them with different colors. Hard to say anything bad about it. Cannot easily set special workdays, like some saturdays. We have 4 teams, with about 6 members / team. This amount of people can only be organized and managed with such resource planning / management tool. This year we doubled our team, this happened so fast, that it lead to a little chaos. It was solved with proper resource managent using Float. "A great team management tool "
Great tool for managing resources in a team. Allows you to quickly and easily see what other people are working on, filtering by teams, projects or specific team members. I'm not a project manager so probably don't use all of the features on offer e.g. reporting, but as a team member it's a useful way of being able to visualise my workload and see what's coming up, as well as being able to see other people's workload. Disappointed that the 'My Schedule' feature is no longer available as this was an easy way to view just my own schedule rather than the whole business and having to filter by my name. Provides an overview of workload and resourcing capacity, helps to plan team member's time and schedule projects effectively, provides an overview of billable utilisation across the business. "Float is part of our team"
The schedule view is the best around, and we've tried a few. It's replaced our spreadsheets, we now have a clear view now on who's working on what. We're able to plan our time off, and we use the unassigned roles to log upcoming work. We use the Slack app to keep track of changes as they happen. The new iOS app has been handy too. I'd love to be able to add our project budgets to track those, but I hear that feature is coming soon. Go for it, it's the best scheduling tool we've used and the support is superb. Float saves us a lot of time we previously spent in spreadsheets. We have multiple projects on the go and so it's great to be able to have a single view of them all and a quick snapshot of everyone's capacity. * We monitor all Float reviews to prevent fraudulent reviews and keep review quality high. We do not post reviews by company employees or direct competitors. Validated reviews require the user to submit a screenshot of the product containing their user ID, in order to verify a user is an actual user of the product. Hi there! Are you looking to implement a solution like Float?